Will not settle into fine lines and wrinkles. Long wearing. Will not fade off or smudge. Formula is extremely blendable and sets to a long-wearing finish. 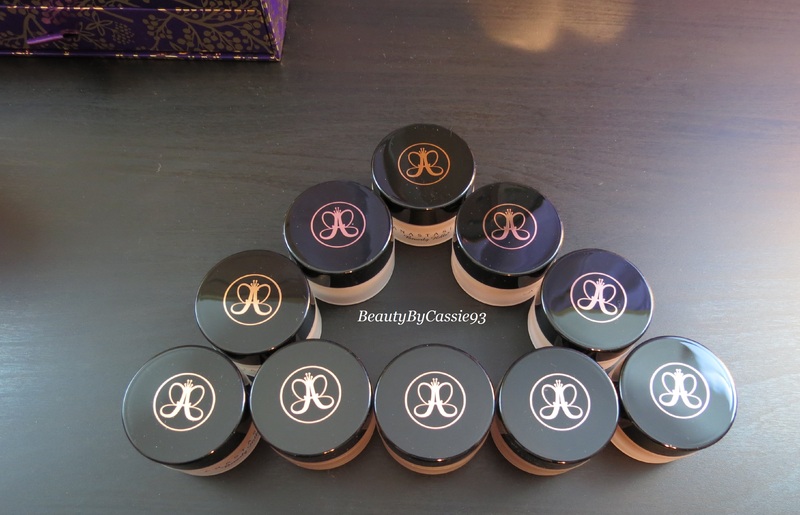 Full-coverage formula masks all sorts of discoloration, blemishes, and even dark circles. Formula “floats” on top of skin and will not cake or fade. To conceal discoloration or dark circles, simply apply concealer with the tip of the ring finger and tap to blend. Be sure not to rub. It also showed the available shades and their numbers. Another thing it showed, was how to “carve” out your brow with concealer. First off, I want you guys to know that these are literally the creamiest concealers I've ever used in my entire life! No joke! When I dipped my finger in the jar I was so surprised at how smooth and creamy it was! Also, they really are amazingly moisturizing and blendable. I really had to scrub this stuff off of my arm so it's definitely long lasting! These will be great for under eye circles, blemishes, and I would even use these to contour. To say the least, I'm in love! I also want to point out the fact that Anastasia has really created a great range of colors for the palest people to the darkest ones. She even mentioned that she plans on releasing 7 more shades this coming June (exciting, right?!). They will be available in 10 shades on www.anastasia.net on March 15th. foreverrr! The #18 concealer brush will also be available on March 15th(not sure about the pricing yet). 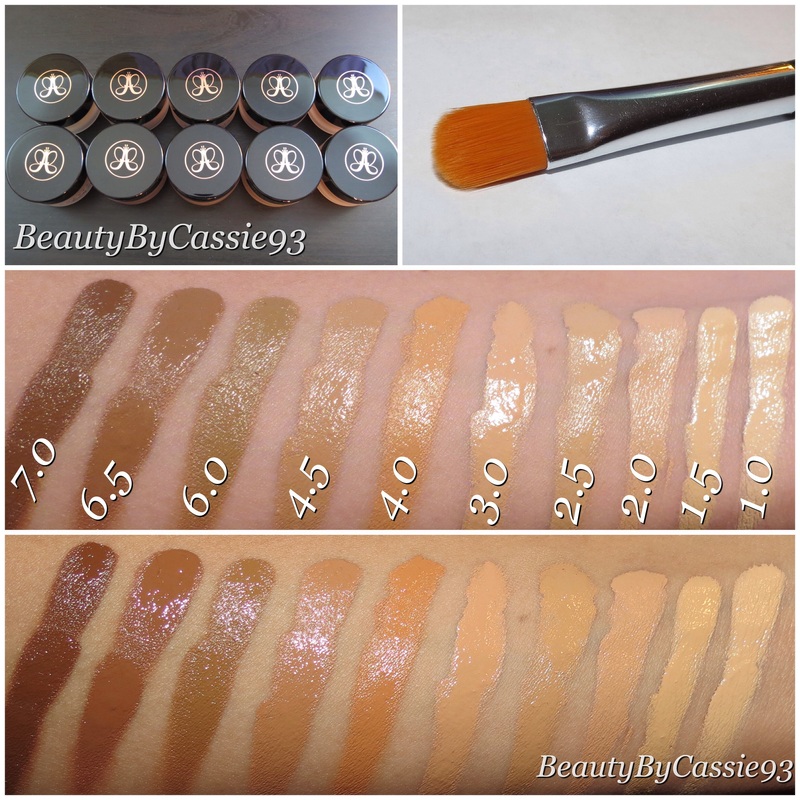 Here are swatches of the new Anastastia Beverly Hills Pro Series Concealers. FYI, these are raw and unedited photos so you can see the true colors. The first set of swatches is without flash and the one below is with flash. P.S. 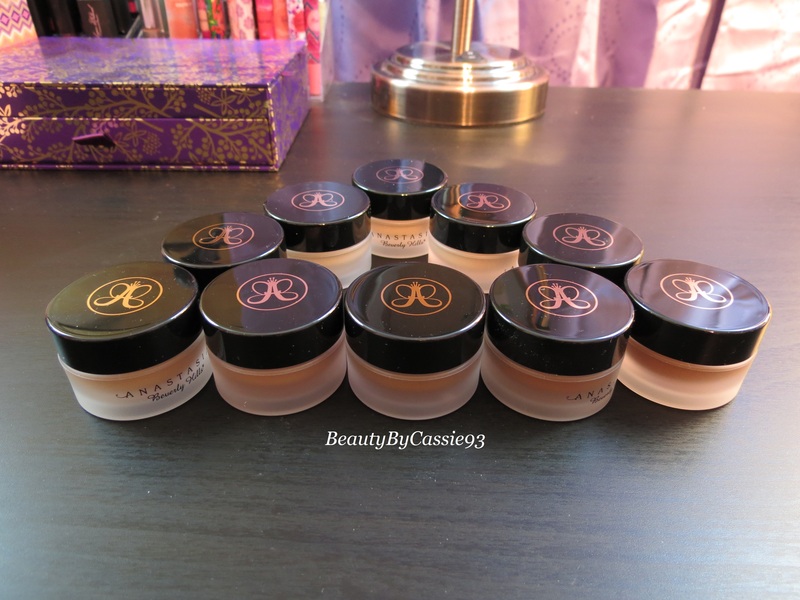 I will be adding additional photos and updating this review after I’ve had some time to use the concealers. Update: I’ve been using these concealers daily for the past 5 days and I’m absolutely in love! I’ve been applying them with my finger tips under my eyes and they are really great for dark circles. These stay put all day long as long as I set them with powder, which isn’t an issue since I always set any type of cream or liquid product I use with powder. These concealers are also great for concealing any blemishes or scars you may have. This entry was posted in Makeup, Beauty, Reviews and tagged Anastasia Beverly Hills, concealer, new produtcs, review. Thanks! 🙂 I use the lightest shade, 1.0, because I like the bright, highlighted effect that it gives. For other areas of my face I use 1.5. Which shade should I use or contouring? I’m currently an NC42 in MAC and I was thinking of buying shade 6.5 but I’m not sure if it would work for me. Help please! I’m not familiar with MAC shades but if you’re of a darker/ medium-dark complexion I would definitely go with 6.5 or 7.0.
what shade would be good ? I’ve been look at shade 3 and 4 . What are your reccomendations ? Hi there! 🙂 I would have to see your skin tone in order to give you the best recommendation but if you aren’t that tan I would go with 3.0. However, it does have neutral undertones. 4.0 definitely has extremely warm undertones, though, and is on the tan side. So if you can’t decide between the two, it might be a good idea to get both and mix them to create the perfect shade. Hope that helps! hi , thank you for your reply ! well , i have taken some pictures ! hope this helps for you to choose for me the right shade ! furthermore , i really have very bad dark circles and redness ! thank you cassie :* 🙂 ! Sorry for the late reply! Shade 3.0 would probably work best.